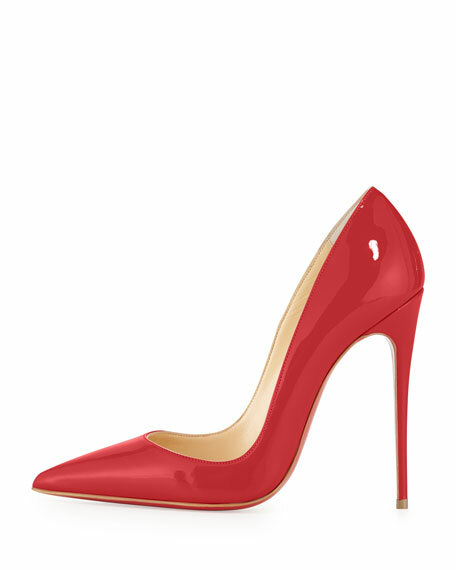 Christian Louboutin patent leather pump. Creamy leather lining and footbed. "So Kate" is made in Italy. 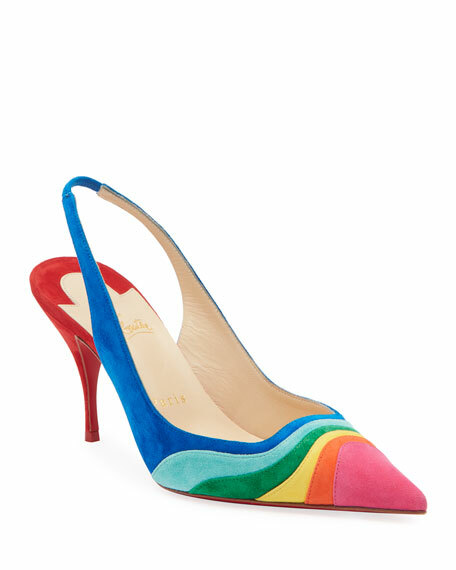 Christian Louboutin pumps in colorblock rainbow suede. 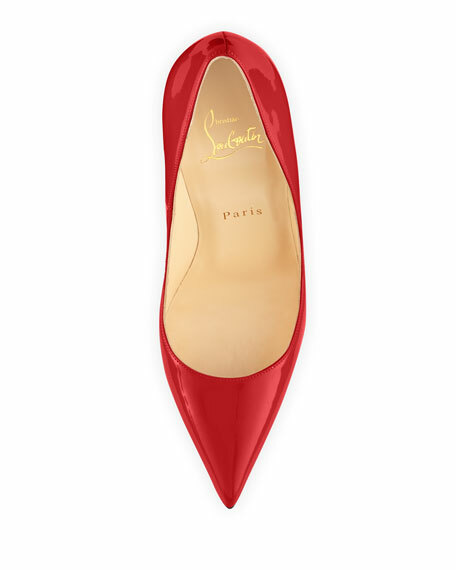 3.1" stiletto heel. Pointed toe. Slingback stretch strap. Slip-on style. Signature red leather sole. Made in Italy. 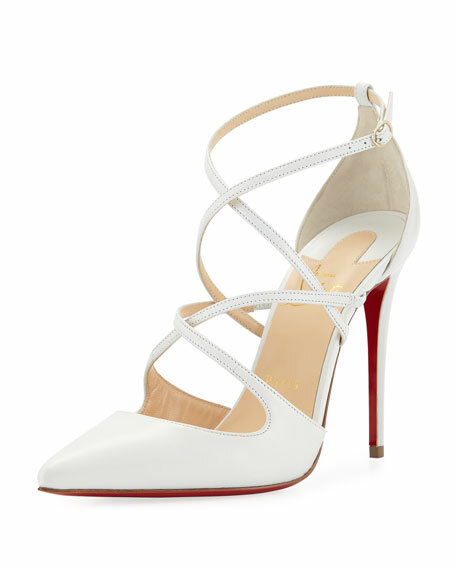 Christian Louboutin pumps in clear vinyl with contrast leather. 2.3" woodgrain block heel. Square toe. Slip-on style. Signature red leather sole. "Grandola" is made in Italy.